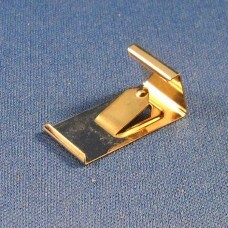 Clips used to assemble Quadro Clipframes. Clips snap into machined grooves on backing panels and slide to any position. 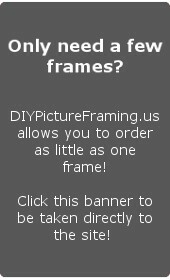 Use any number of clips on a frame, position anywhere. Clipframes will hang directly from the cutout in the back of any clip. Clips are designed to slide off the ends of the frame. Clips work with 1/8" thick grooved backing panels. Clips will accommodate approximately 3/16" of thickness in addition to 1/8" backing panel. (Glass/Plastic/Mattes/Images can not exceed a total thickness of 3/16"). Material is bright nickel plated spring steel. Clip area visible from front is approximately 2mm. x 11 mm. (1/16" x 1/2"). Replacement or additional clips for Quadro Clipframes. Clips can also be used with appropriately machined backing panels to produce custom sized clip frames. See product images for specifications of groove requirements.